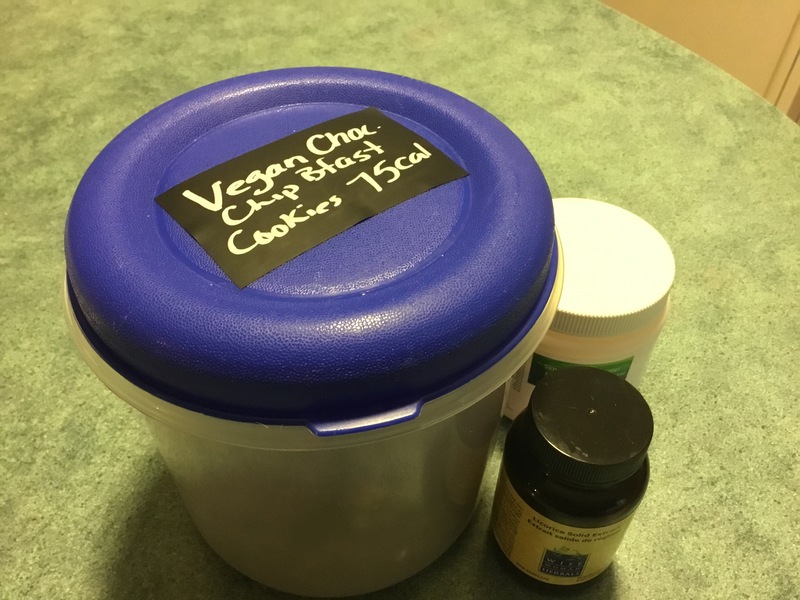 Veganism Day Two – Lots of Success and One Little Oops! Day two of becoming vegan was a raging success…if I do say so myself. First, I had the best night’s sleep I remember having in years…possibly ever. I don’t think I moved after my eyes closed. When I woke up this morning, I actually had no idea what day it was (sadly, it was Monday) or where I was. I really don’t ever remember sleeping completely through the night without waking at all. Granted, I do have five children….so this is probably not abnormal. Admittedly, the good night’s sleep may not be a “going vegan” side effect. Yesterday happened to be my first day without drinking any Diet Pepsi before bed, too… That might have had a little to do with it. So…here’s my day in a nutshell. 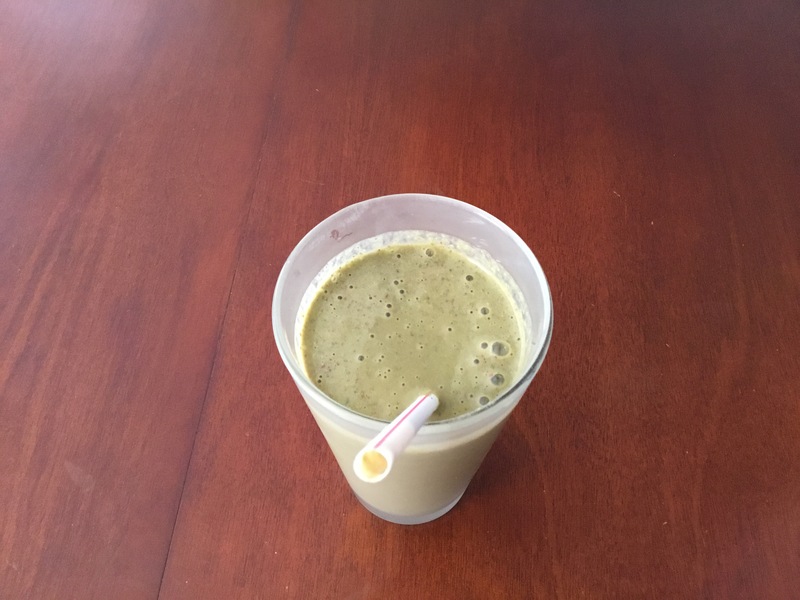 For breakfast, I whipped up this green smoothie. It was yummy! For lunch, I had a spinach salad with almonds, cranberries, sunflower seeds. I topped it with a tablespoon each of extra virgin olive oil. I also had some vegan crackers and hummus. I didn’t have a lot of time to spare this morning…and I had done zero planning…so the fact that I pulled off a brown-bag lunch at all is extraordinary. The biggest success was that my kids gobbled up the tacos. They didn’t even realize that they weren’t eating ground beef. Don’t get me wrong, I plan to have the discussion with them eventually to explain the change I am making to my diet and that I hope they will make to theirs but, right now, I’m just learning myself. Ironically, my seven-year-old daughter asked me if people eat bunnies tonight…. When I said that, yes, some people do, my four-year-old replied with, “Mommy, that’s gross. And, it’s mean, too.” Yes, William. Yes it is. Immediately after supper, I dropped my husband and two youngest kids off at the ball field and went to the grocery store in search of some yummy vegan ingredients for the week. 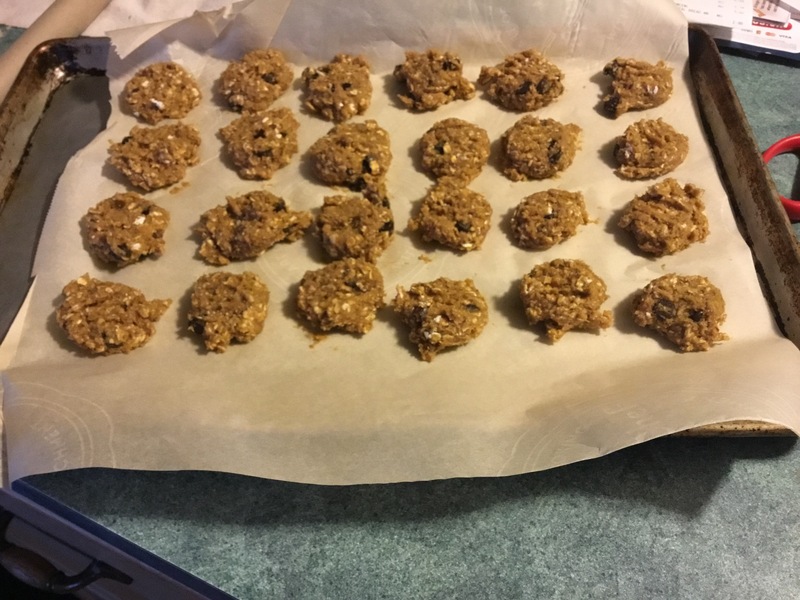 After getting home and getting the kids to bed, I made some yummy vegan breakfast cookies using a recipe I found over at Minimalist Baker. This is definitely my favourite resource that I’ve found so far! Thanks to the commenter on yesterday’s post for steering me in that direction! 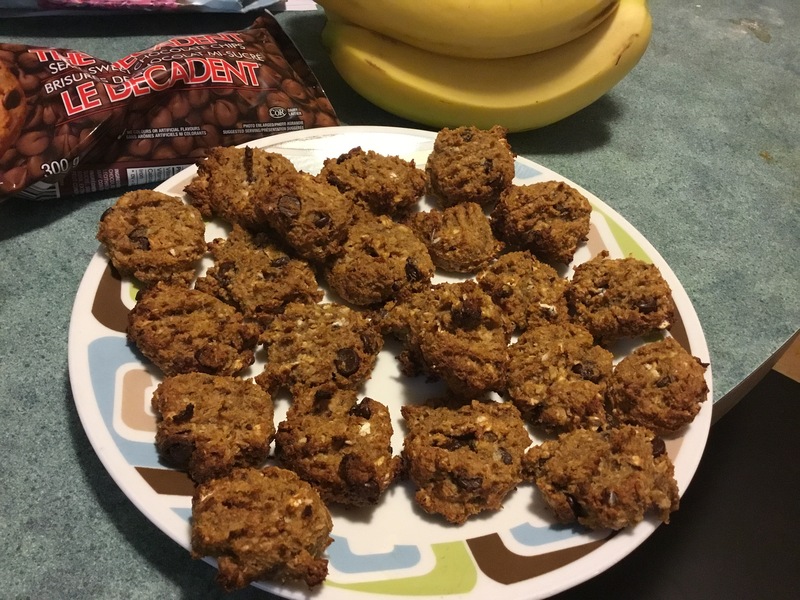 I had heard of this website before but had no idea it was mainly vegan recipes! All-in-all, I would call this day very successful and very productive. I can honestly say I didn’t notice any negative side effects, withdrawals or cravings. I did feel mildly nauseous for a little while late this afternoon, but it passed super quickly. Remember, if you want to see the nutritional breakdown for my meals today, you can pop on over to My Finess Pal page. It is going really well so far – better than I could have imagined! And, I’m pretty proud of those tacos…:) Normally on a night the kids have ball we’d eat fast food, pizza or nachos… So being able to quickly pull them together is quite an accomplishment in itself…but the fact that everyone loved them…success!!! Although, I really want to experiment with stuff like that from scratch as I get more organized.